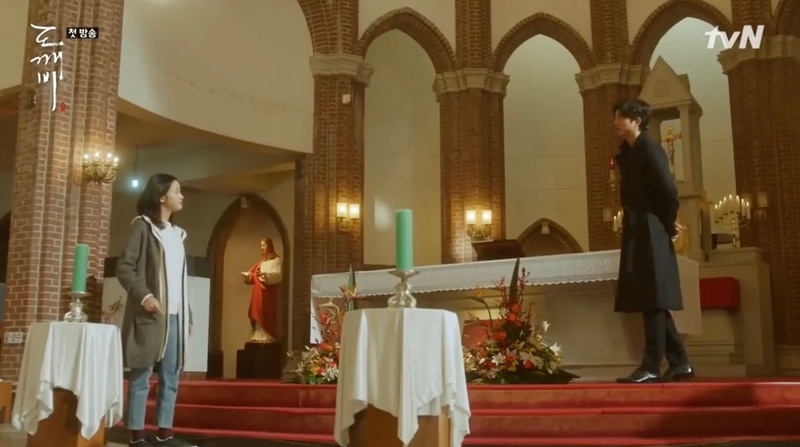 Cha Hyung-seok’s (Park Hoon) one-year memorial service takes place here in episode 7 of Memories of the Alhambra (알함브라 궁전의 추억) (tvN, 2018-19) and to everyones dismay Yoo Jin-woo (Hyun-Bin) also appears. 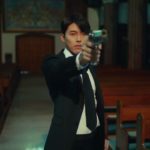 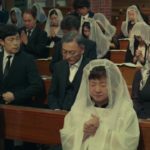 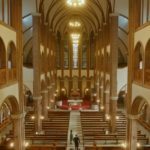 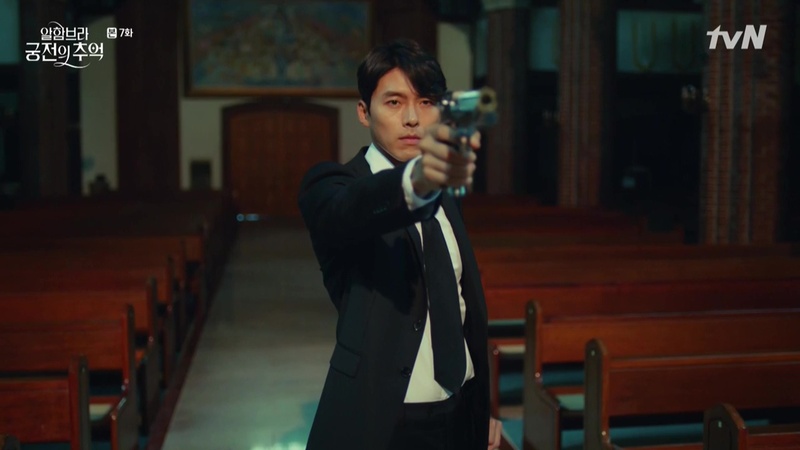 While everyone attends the memorial, Jin-woo switches to the AR-game mode and Hyung-seok directly attacks him and emotionless Jin-woo shots him down before leaving the church. 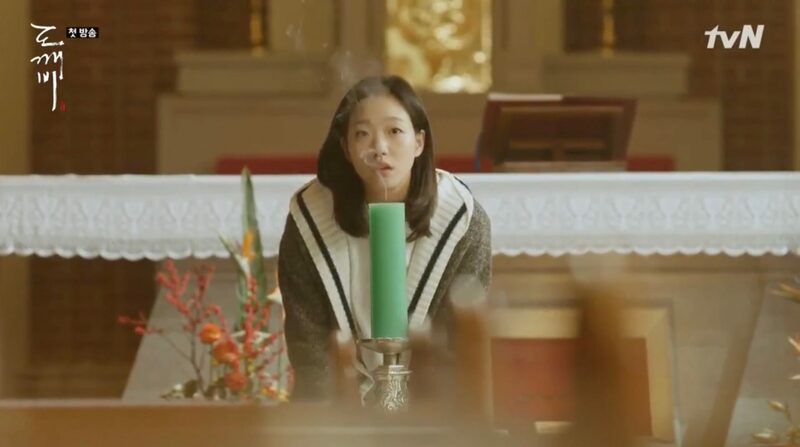 This is where Ji Eun-Tak (Kim Go-Eun) understands that she can summon Kim Shin (Gong Yoo) by blowing out a candle in episode 1 of Goblin/Guardian: The Lonely and Great God (쓸쓸하고 찬란하神 – 도깨비) (tvN, 2016-17). 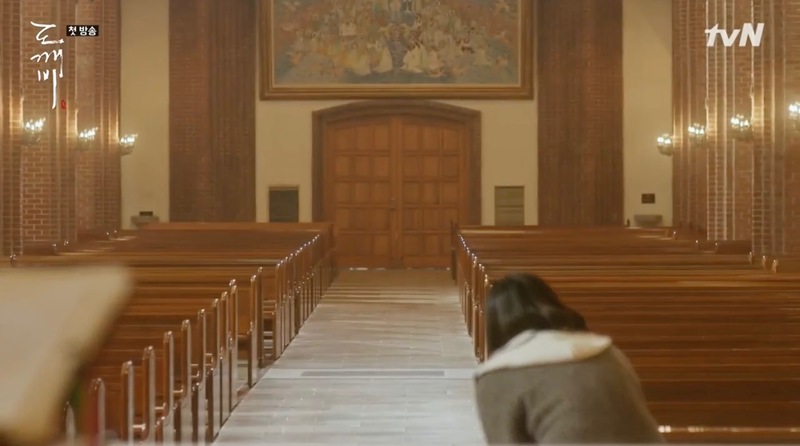 He is, of course, not so amused about this as she is. 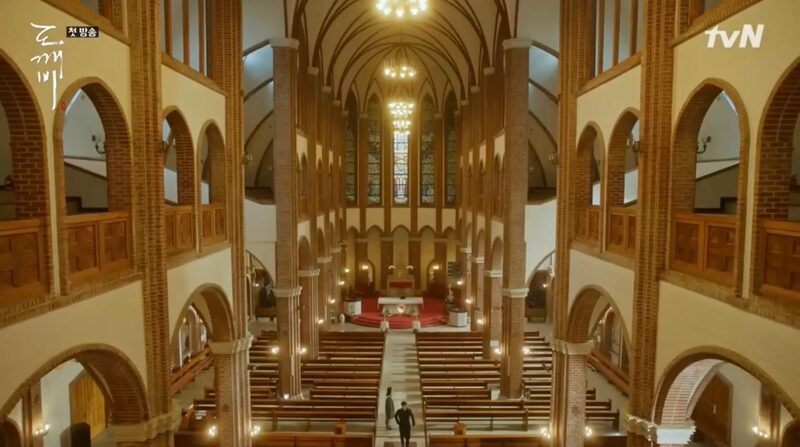 Memorial Cathedral St. Mirinae [미리내성지] is located in the northern part of the village of Misan-ri [미산리] in Anseong’s Yangseong Township [Yangseong-myeon/양성면], around 3 hrs south of Seoul by public transport.